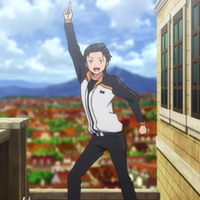 Re:ZERO might be set in another world, but what can it tell us about modern Japan? 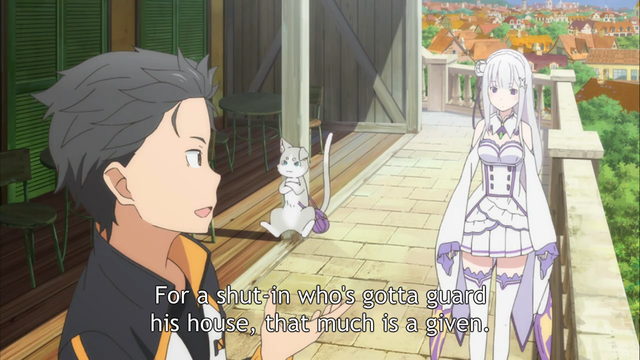 Have you been enjoying the Re:ZERO anime? I hope so! 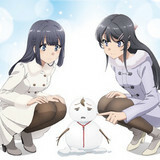 This article contains spoilers for the first light novel, which is covered in the first three episodes of the anime. If you’re not caught up on the story, it’s not too late to turn back now and watch it all. I’ll be waiting here with a box of tissues. 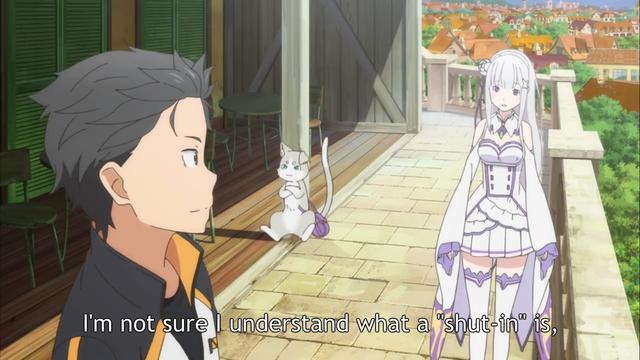 So what makes Re:ZERO so special? I suppose that every fan would have a different answer to this question, but for me it’s this: the author Tappei Nagatsuki seems to thoroughly understand the psychology of the protagonist. Subaru is an infuriating yet completely understandable character; he’s painful to watch because he’s understandable. At the same time, Subaru’s very much a product of a Japanese context. He self-consciously characterizes himself with a litany of Japanese media buzzwords: otaku, hikikomori, NEET (Not in Education, Employment, or Training). The list goes on. For Japanese viewers, these words establish Subaru as a familiar stereotype, one that has been enforced not just by anime and manga but by the Japanese mass media. At times, the novel points out that Subaru lives up to the mass media’s negative stereotypes, again by using a bunch of buzzwords that are intimately familiar to Japanese audiences. This short passage basically declares that Subaru is one of those lazy, entitled young people that the media loves to complain about. In short, he’s one of those dreaded millennials. This description comes across as too stereotypical and distanced from the lived experiences of young people in Japan, to the extent that it sounds kitsch. Born in 1987, Nagatsuki was in his mid-twenties when he began serializing the Re:ZERO novel on the Shōsetsuka ni Narō website in 2012, so he clearly does not belong to the older generation that would use such descriptors without irony. Instead of taking the stereotypes at face value, it seems more plausible that Nagatsuki uses them to present Subaru as a familiar, “iconic” sort of character—and then gradually peels away the curtain of buzzwords to find the very human person beneath them. For those who don’t know Japanese, the specific buzzwords may likely go over your head. But even when we aren’t aware of the full context behind the cultural references, translations give us analogues for understanding them in relation to our own cultures. By doing so, translations remind us that many of these stereotypes discussed in the Japanese media are by no means unique to Japan. Because the novel goes into a bit more detail about Subaru’s backstory, it provides more instances of Japanese media buzzwords, so it’s interesting to examine. The English version was published by Yen Press and translated by ZephyrRz. A copy can be purchased from the Yen Press website here. For example, ZephyrRZ does this on page 85, when Subaru complains at Old Man Rom for eating his potato chips. Here, we can see that ZephyrRZ used “baby boomers” as an equivalent to dankai sedai (団塊世代). The dankai generation (or dankai no sedai) refers to the 1947-1949 generation of postwar babies. While the dankai generation covers a narrower time frame than what “baby boomer” covers for Americans (approximately 1946-1964), the Japanese Wikipedia page does explicitly refer to it as the first generation of baby boomers (第一次ベビーブーム世代). More importantly, the stereotypes associated with the first postwar generation are more or less identical in the West. 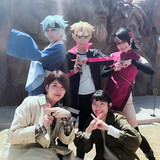 The dankai generation grew up without the scourge of war, coming of age during a period of rapid economic growth. They imagine themselves as hard workers but are sometimes portrayed in the media as hypocrites who don’t realize how easy they’ve had it. “Baby boomers” is a good fit here. Sometimes (most of the time) in translation, there isn’t a simple, all-purpose word that can be used as an equivalent in every situation. With some culture-specific words, you have to look at the text carefully and decide what aspect of the word you want to reproduce. The sound/rhythm of the word? The dictionary meaning? The social connotations? Context is always key. You may be familiar with the word hikikomori (引きこもり). The term has been adopted into the English language, with many English-language journalist outlets, including the BBC, using it in their coverage of Japan. This isn’t the place for an in-depth discussion of hikikomori, so I’ll just say that it’s considered a national problem in Japan, and that the Japanese media frequently treats the subject with a distinct lack of empathy and understanding of mental health issues. As a result, the hikikomori is a much-pitied and much-reviled figure in the Japanese discourse. 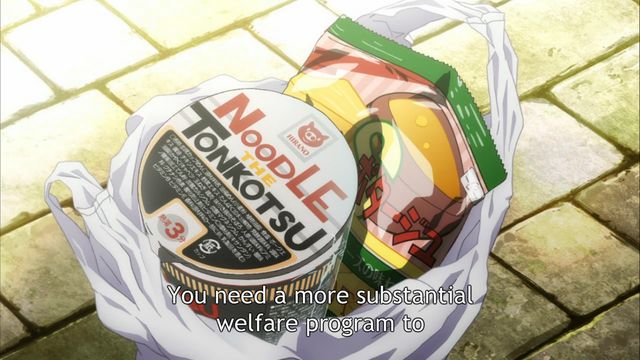 Notably, neither translation uses the word hikikomori but instead translates what the word means directly. 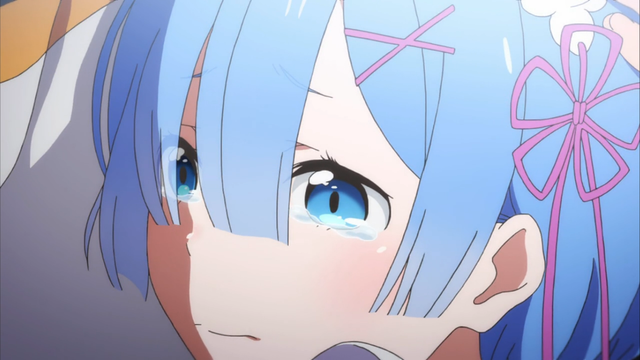 Emilia hears the word and understands that Subaru is referring to some kind of withdrawal, but she has no idea what it is specifically. Essentially, Emilia is in the same shoes we are in when we hear the direct translation. As far as English speakers are concerned, hikikomori refers to a very specific Japanese social phenomenon; “shut-in” or “cooped up in my room” does not. Nevertheless, I would suggest that the phenomenon of people shutting themselves in their rooms to avoid human contact is something that happens in many countries. 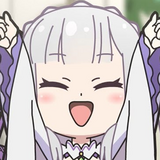 Through translation, it’s very easy for viewers to appreciate both Emilia’s confusion and Subaru’s painful reality in his home world when he vaguely alludes to being “cooped up” in his room. The word futōkō (不登校) is also a major buzzword in the Japanese media, but it does not get translated in the same way consistently into English. This term, which is intimately related to hikikomori, refers to truancy. Although it was previously associated with juvenile delinquency, it is now understood that many children who refuse to attend school are victims of bullying and/or extreme social anxiety. In the English light novel, the word is translated in multiple ways. When it first appears on page 4, it is rendered as “a tendency not to show up in class.” In the next paragraph, it is translated as “truant.” The translation also adds a bit more context to the Japanese text, specifying the choices that Subaru was running away from. English: Placed at a fork in the road of life, such as “whether to pursue a college degree or jump straight into the workforce,” people are generally forced to make a decision one way or the other. That sort of decision-making is something everyone has to deal with and part of what we call life, but in Subaru’s case (you might call it his specialty) he was a bit better than your average Joe at running away from things he did not like. In avoiding such a decision, the number of his unexcused absences had piled up, and before he knew it he was a bona fide truant, the kind parents weep over. Paragraphs like these serve to contextualize Subaru’s escapist tendencies. 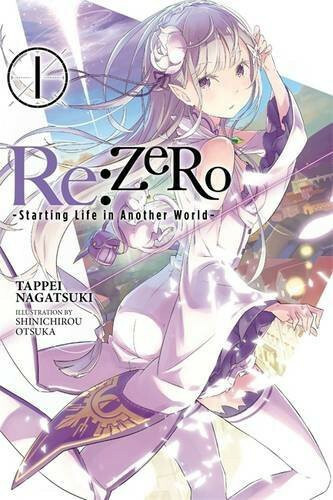 Some Japanese writers and critics have suggested that the recent boom of “stuck in another world” stories is born out of frustration against such social pressures, but the Re:ZERO novel makes out that Subaru’s escapism is entirely his own fault. This passage reinforces that Subaru is a caricature, a figure that the reader is supposed to look down upon and despise (at least at first). The translation, which is somewhat more long-winded in its description of Subaru’s failings, serves to amplify this impression. Here’s one last example of a Japanese buzzword translated into English. 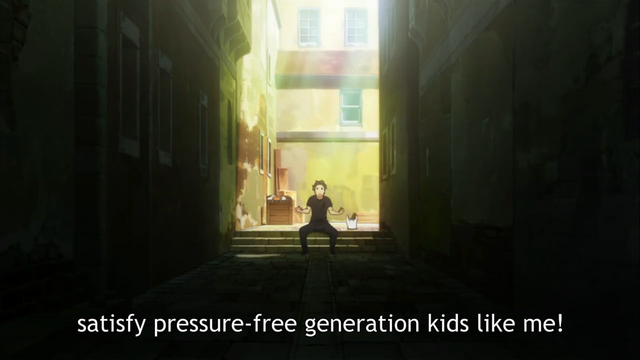 “Pressure-free” is a translation of the word yutori (ゆとり). In the novel, it is translated as “laid-back.” It refers to the controversial education program implemented from the 1980s onward, which the mass media has blamed for the declining academic standards of Japanese students today. Under yutori education, Japanese students spend less time in class, learn less kanji, choose more electives, and so on. To sum up, the popular image of Japanese youth today is that they have been coddled by their teachers and the government, and now they can’t handle the pressures of the real world. That’s why they escape into their rooms, consumed by their video games and anime. They refuse to take responsibility for their own actions. Subaru is very much aware that this is how the mass media perceives him, and that’s why he cracks self-deprecating jokes about it. He might have started his life in the fantasy world from zero, but he has evidently carried a lot of baggage and expectations with him from the real world. In the end, is Subaru as irresponsible and entitled as the media stereotypes make him out to be? I’ve already stated my opinion of Subaru, but what do you think of him? Is there some truth to the caricature? Sound off in the comments!